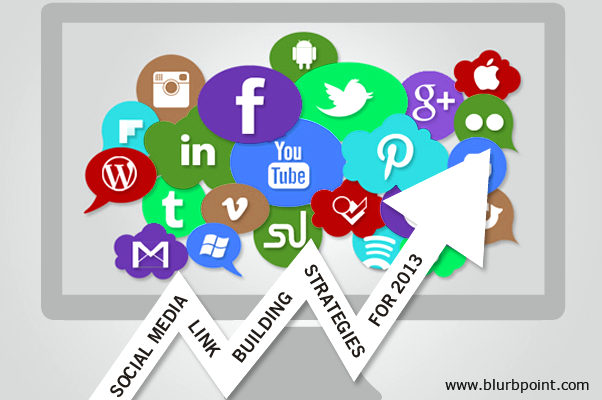 Social media is one of the best link build­ing strate­gies today. It acts as the promi­nent source to gen­er­ate excel­lent links through the inter­ac­tion of peo­ple with each other. This is a pow­er­ful tool which has turned out as an ulti­mate hub of mar­ket­ing and pro­mo­tion, other than just chit chat. Social media pro­vides a great plat­form for the pub­lic­ity of any busi­ness, cam­paign or com­mu­nity. It con­sists of var­i­ous social com­mu­nity sites, which help out effi­ciently to make such things pos­si­ble through their included features. Social media includes step by step pro­ce­dure. There is no short­cut to achieve heights in this field. How­ever if the asso­ci­ated steps are fol­lowed, then the suc­cess in earn­ing high qual­ity link is for sure. After reg­is­ter­ing into the any of the social sites, an indi­vid­ual needs to make an impres­sive entry among the com­mu­nity. This thing doesn’t requires to be grad­u­ated in pop­u­lar­ity, but he needs to be enough cre­ative, to attract the peo­ple from his unique con­cepts. Mak­ing friends, fol­low­ers or fans are some of the basic ongo­ing trends of the social sites. Hence, it takes a bit of time to cre­ate a group, as these sites are joined by a major­ity of com­mon peo­ple. Every per­son who runs his cam­paign through the use of social media wants to cover max­i­mum of peo­ple to earn links which would boost up his business. The only pur­pose to make use of these fac­tors is to get good amount of clicks by online users to your com­pany. Once if the trust gets estab­lished, then it is sure that the com­pany will hit the top rat­ing charts in the online market. & Get Approval For Our Submissions In Dmoz Directory? ">How To Sub­mit & Get Approval For Our Sub­mis­sions In Dmoz Directory? How To Start A Link Build­ing Cam­paign For Your Website ?